It's July 1 so you know what that means? Yup, it's time to look back at some of the best and most popular 2IY projects from last month. 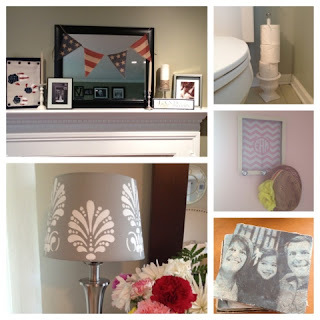 The stenciled lamp shade was far and away the most buzzed about projects in June. 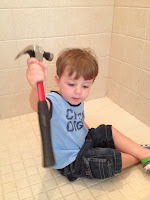 The Ikea hack was also among the easiest. 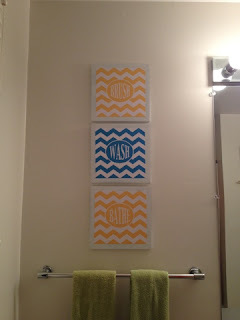 I simply bought a gray shade, taped a stencil to it, and had at it with some white craft paint and a sponge pouncer. The results were incredible - and the reaction slightly overwhelming. Some of my personal favorites from last month were the Pottery Barn-inspired Stars and Stripes Burlap Bunting, the dowel and pot toilet paper holder, and the personalized "Home of the Brave" sign. It's great to recreate someone else's idea and use it for inspiration, but when it's something that comes from my own brain cells firing - I get super excited. 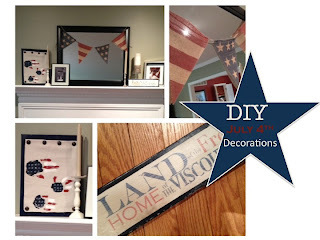 Holiday decor has a special place in my heart which is why I am so excited about all the July 4th decorations that we have going on right now. 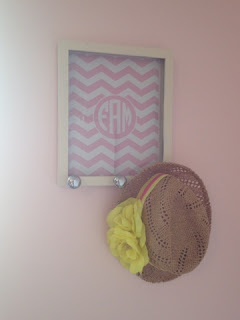 Many of them can be created from dollar store finds or just by shopping your home. That's my favorite place to shop these days. In fact by shopping my basement storage area I was able to create an adorable monogrammed chevron shadow box peg shelf (whew, that's a mouthful) and these fun chevron bathroom art signs for my kids' bathroom. Neither cost me a red cent. I mean, I might be kind of excited about all the stuff I got done in June - especially since school's out for the summer and both my little ones are home begging to be entertained. In addition to all that, the launch of my Etsy store, Cuteness Cubed, got off to an incredible start. 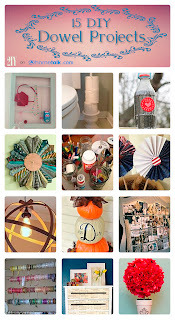 I'm starting July off with the editors at Hometalk asking yours truly to curate a special clipboard of DIY Dowel Projects - many projects of which are my very own. Now, I'm ready for a little R&R....thankfully we have the beach calling our name for 10 straight days! Of course, I also have a lot of projects in the works for July that I can't wait to share with you....here are a few hints.